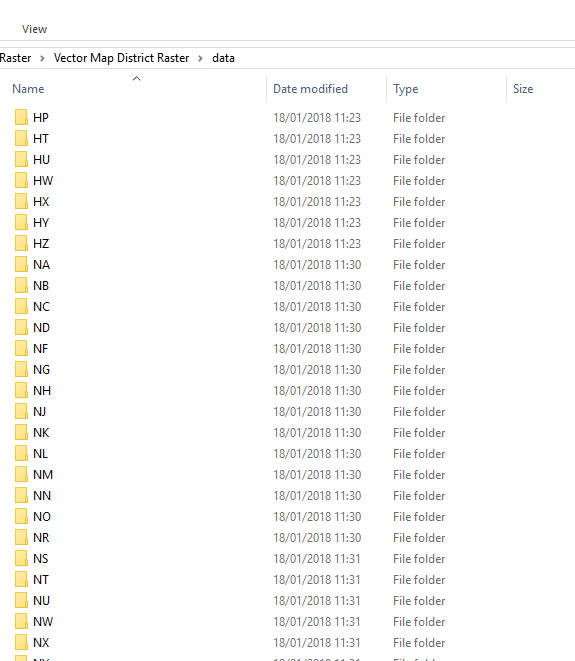 I have changed the directory to the "data" folder where all of the raster tiles are saved. I then use the following code to try and build a VRT with all the tiff files that are within that directory with a CRS of BNG 22770. Can someone please help me with this bearing in mind I have little to no experience in coding or the command line? The problem is that this construction is trying to look for a "data" folder within your existent "...\Vector Map District Raster\data" folder. Since there is no such "...\data\data" folder, it returns an error. You can create such file from command line when you home directory is at you "data"
Then, another .Bat to loop in the same subdirectories (and those inside) and do the VRT mosaic. Not the answer you're looking for? Browse other questions tagged gdal command-line gdalbuildvrt or ask your own question. How do I use wildcards to work around the GDAL character limit? Using gdalbuildvrt in R gives Warning Message … had status 1?